Houston, you’re in for a treat. 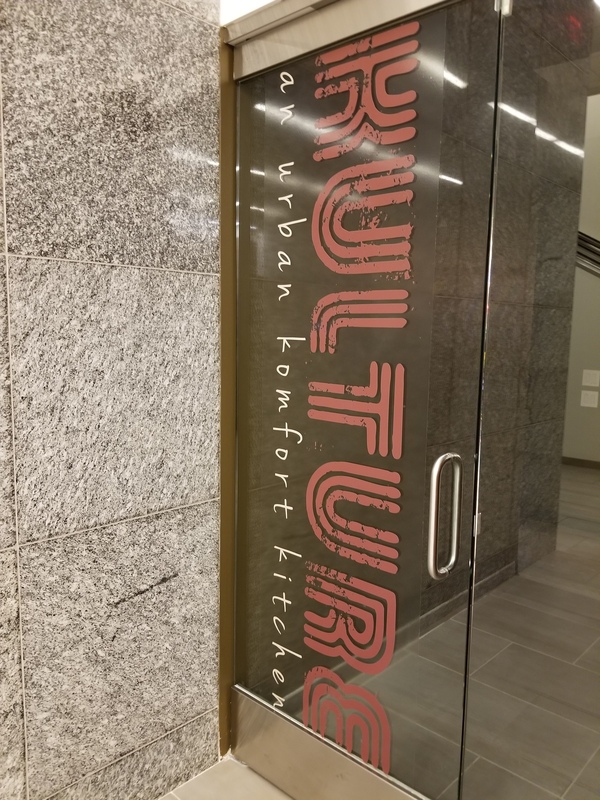 Kulture Houston, the downtown Houston restaurant offering southern cuisine, also aims to express the cultural contributions of African Americans in this nation through food, music and art. 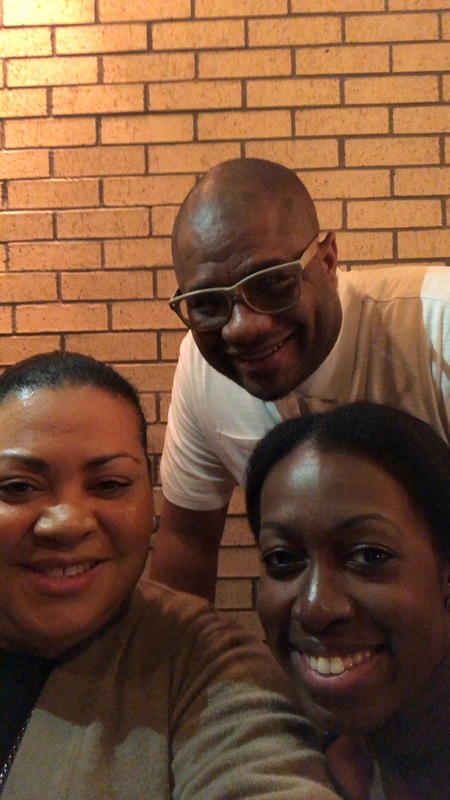 “Our goal is to give guests some of the good stuff we’ve given artistically as a people of color in this nation,” Kulture owner Marcus Davis told 2 Girls Who Travel. Yes, the same Marcus Davis behind Houston hot spots such as the Breakfast Klub and Reggae Hut. The man knows restaurants. Though Kulture currently only offers lunch and dinner, Davis explained that the restaurant is a lunch/dinner/brunch concept. “You can be on the lookout in the future for a Sunday brunch – a killer Sunday brunch,” he said. 2 Girls Who Travel were invited out last week to a menu tasting featuring some of Kulture’s hottest menu items. When you enter, it’s immediately a vibe – bright colors, smiling faces and a little old school playing in the background. We were seated in a private area upstairs with other area food bloggers. 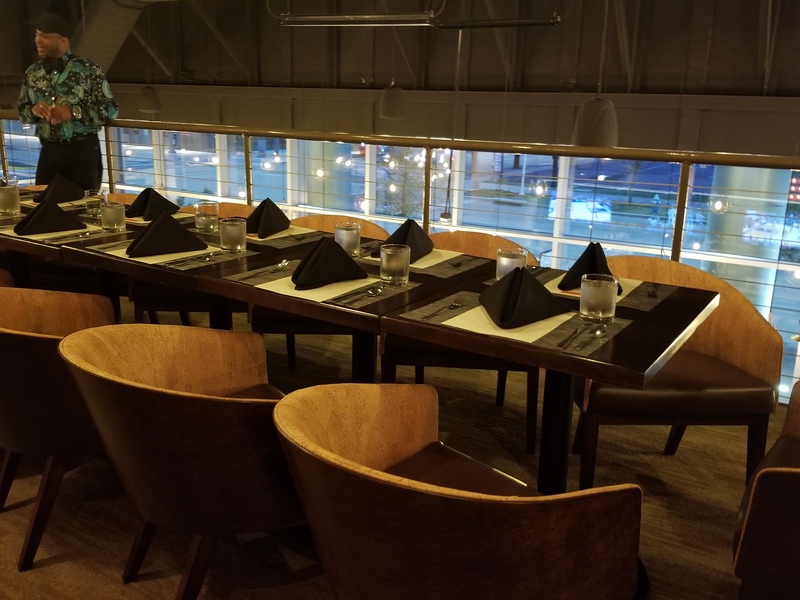 The space is on the second floor of the restaurant and is great if you want to host a small gathering, but not be completely shut off from the remainder of the restaurant. On to the food – which was uh-mAz-ing. But see for yourself. We’ll start first with this perfect cocktail – the Mahogany ’75. If we were only allowed one drink from Kulture, this would be it. It’s made with cognac instead of gin and even has brown sugar in it. 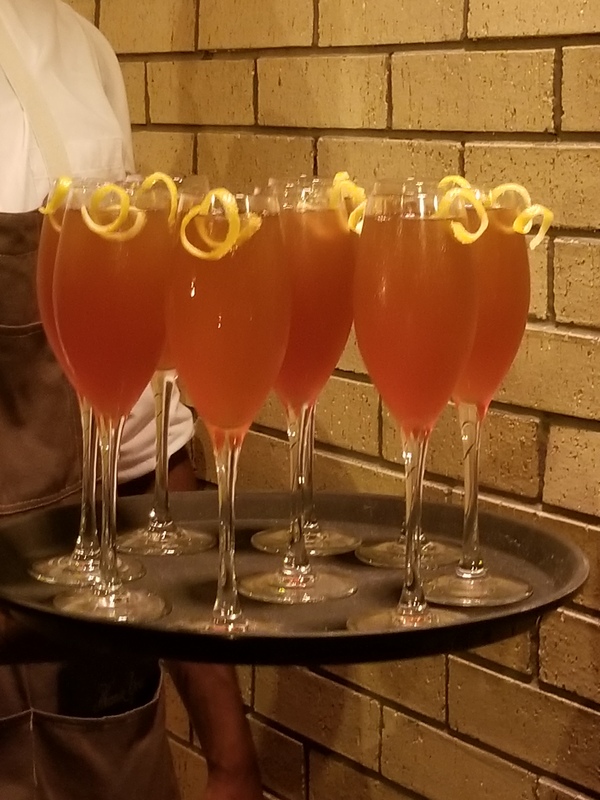 We can see why it’s the restaurant’s best-selling cocktail. 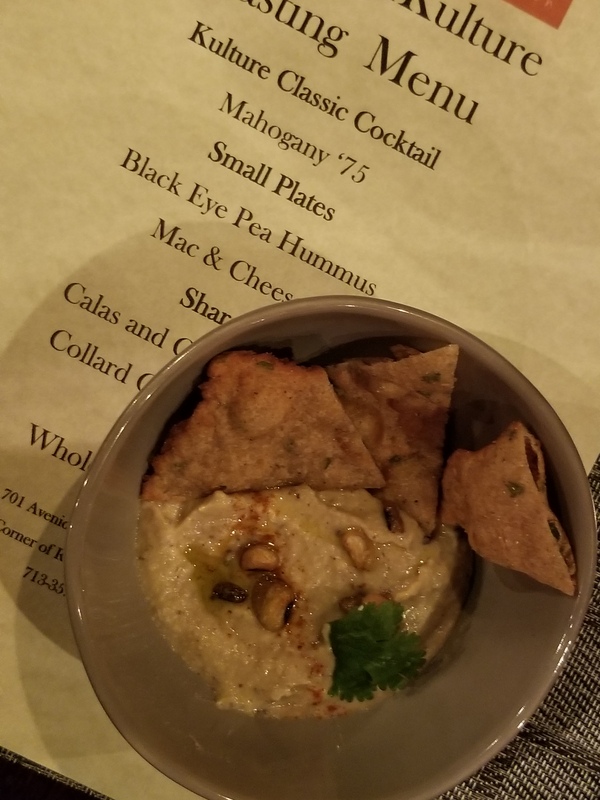 Black eye pea hummus – it’s vegan and vegetarian, yall. And so delicious! 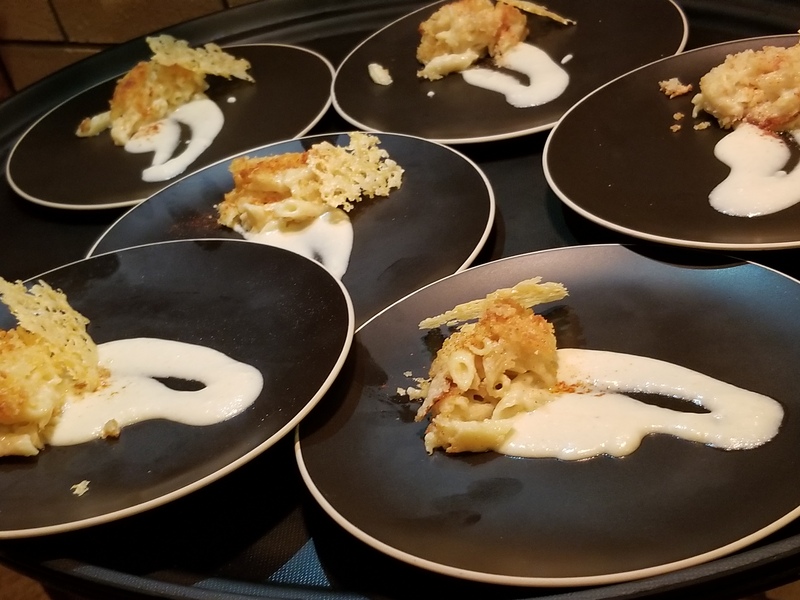 C’mon now – this mac and cheese is plated beautifully … but how does it taste, you’re asking? Creamy, cheesy and delicious. 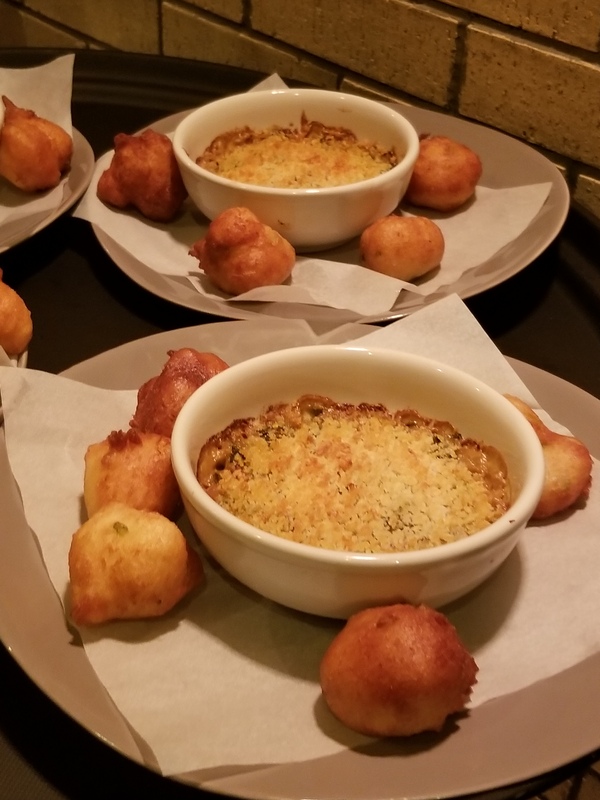 If you’ve been hearing about Kulture, I’m sure you’ve heard of the calas and collard dip. The calas were fluffy and tasty – reminded us of beignets from NOLA. 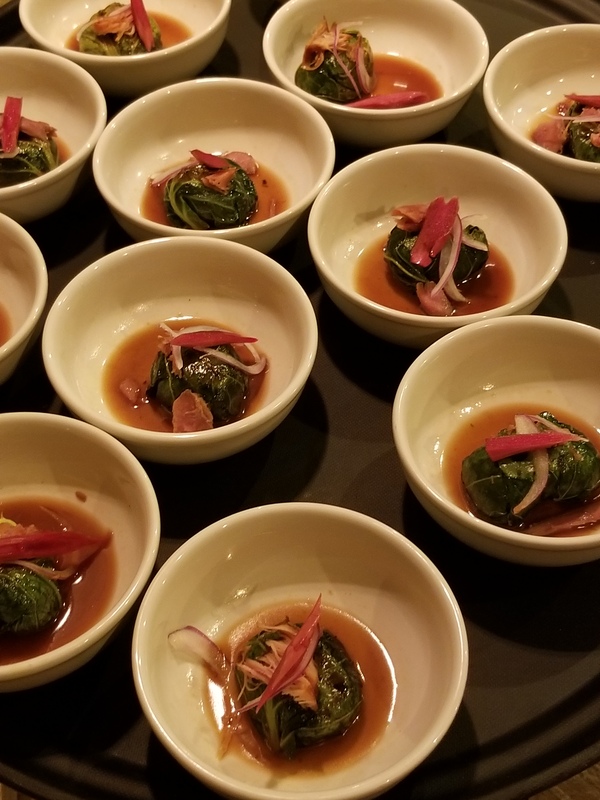 The collard dip was such a good complement to the calas – savory and yum – this was arguably the best dish of the night! 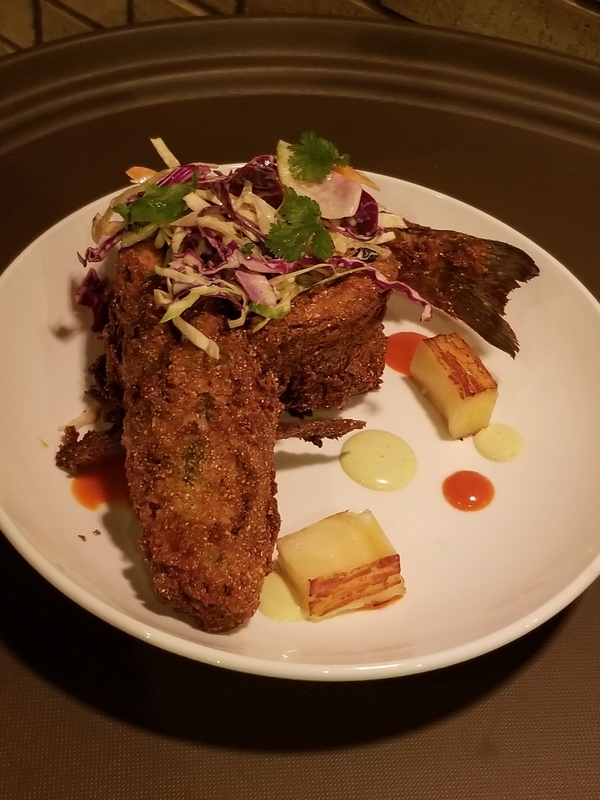 A whole fried branzino fish with two kinds of sauces – homemade hot hot sauce and potato sauce. As if the food itself wasn’t enough to bring you back, heeeeere’s more! Davis shared with 2 Girls Who Travel that the restaurant isn’t finished yet – it’s about 80 percent built out. Kulture will also be treated as an art gallery, featuring quarterly exhibits, openings and artist talks. We’re not just hanging pictures on the wall, said Davis. Kulture has three curators – one in each of its core areas: food, music and art. 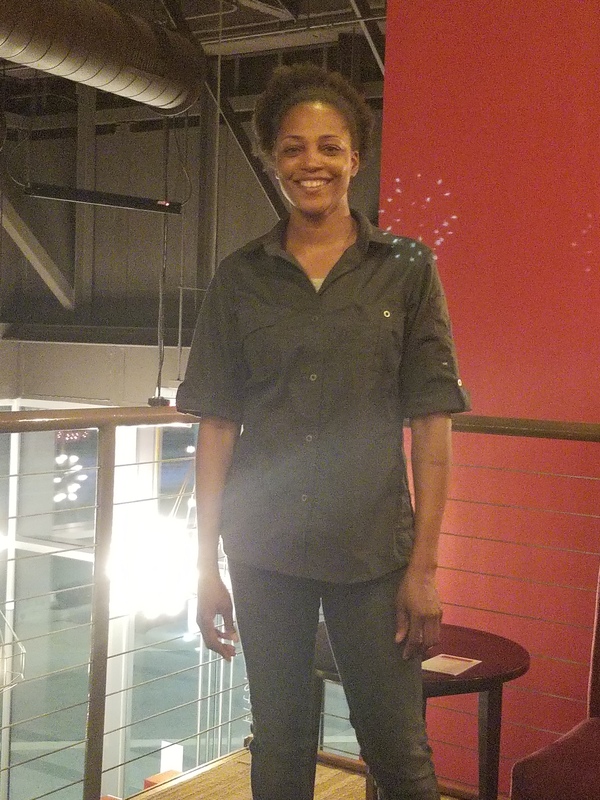 Executive chef Dawn Burrell, formerly of Uchi, curates the food. Nationally known artist Robert Hodge curates the art. And nationally known jazz musician Chase Jordan curates the music. Davis said the idea is to have Hodge and Jordan (both Houston locals) bring their network back to their hometown of Houston. Kulture is located at 701 Avenida De Las Americas, Houston, TX 77010 on the first floor of the Partnership Tower. They have a Happy Hour from 4-7pm Monday through Friday.